The Orbital ATK program team has successfully completed NOAA’s Joint Polar Satellite System (JPSS) Spacecraft Preliminary Design Review (PDR) for JPSS-2, and the Polar Follow-On/JPSS -3 and -4. Built on Orbital ATK’s proven and reliable LEOStar-3 platform, these spacecraft will host instruments that provide essential operational space-based weather observations for the National Oceanic and Atmospheric Administration (NOAA). Artist rendering of NOAA's JPSS-2 spacecraft in orbit. The four-day spacecraft PDR was conducted August 29 through September 1 at Orbital ATK’s facility in Gilbert, Arizona where the spacecraft is being designed and built. Representatives from NOAA and NASA, including satellite instrument providers and independent reviewers, participated in this important program milestone. The JPSS-2 satellite will join a constellation of satellites, including the Suomi National Polar-orbiting Partnership and JPSS-1, which gather global measurements of atmospheric, terrestrial and oceanic conditions. 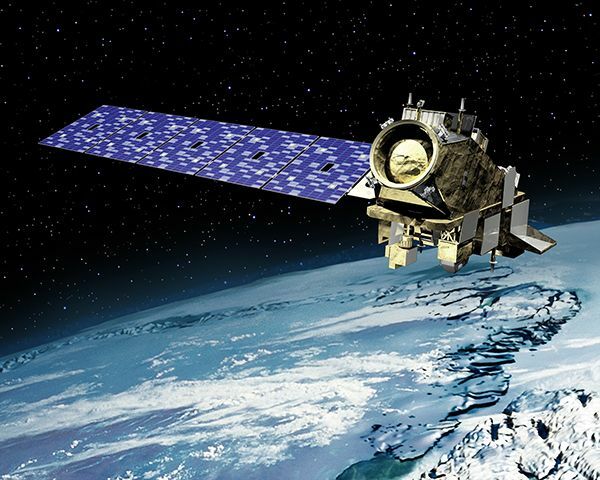 During the required seven-year design life, JPSS-2 will deliver observations essential for accurate forecasting up to seven days ahead of severe weather like hurricanes, tornadoes and blizzards. The data collected will also be used to assess environmental hazards such as sea ice, floods, volcanic ash, wild fires and poor air quality. The result is timely and accurate public forecasts that reduce the potential loss of life and property and minimize economic impact. While Orbital ATK has designed and built a wide variety of innovative Earth science, commercial imaging and defense satellites, the spacecraft for JPSS are the first weather operations spacecraft the company will design and produce. With the spacecraft PDR complete, Orbital ATK is proceeding to the Spacecraft Critical Design Review (CDR), currently scheduled for second quarter CY 2017. Once delivered to the Vandenberg Air Force Base launch site in California, Orbital ATK will support launch and early on-orbit checkout of the satellite.